WASHINGTON – Under mounting pressure from his own party, President Donald Trump appeared to be leaning grudgingly toward accepting an agreement Tuesday that would head off a threatened second government shutdown but provide just a fraction of the money he’s been demanding for his Mexican border wall. Washington and Idaho lawmakers from both sides of the aisle said that they were not particularly happy with the tentative deal, but emphasized the importance of avoiding another government shutdown. Sen. Patty Murray, D-Wash. said that should be a high priority. “The last thing families and federal workers in Washington state need is another senseless, unnecessary Trump shutdown, and they are counting on Democrats and Republicans to come together and do our jobs to keep the federal government open,” Murray said in a prepared statement. Rep. Russ Fulcher, R-Idaho, said that he predicted that Trump would approve the deal to avoid the shutdown. But he added that he has a difficult time predicting the administration. Accepting the deal, worked out by congressional negotiators from both parties, would be a disappointment for a president who has repeatedly insisted he needs $5.7 billion for a barrier along the U.S.-Mexico border, saying the project is paramount for national security. Trump turned down a similar deal in December, forcing the 35-day partial shutdown that left hundreds of thousands of federal workers without paychecks. There is little appetite in Washington for a repeat. Rep. Cathy McMorris Rodgers, R-Spokane, said she will review the proposal once it’s released before she makes a decision how to vote. 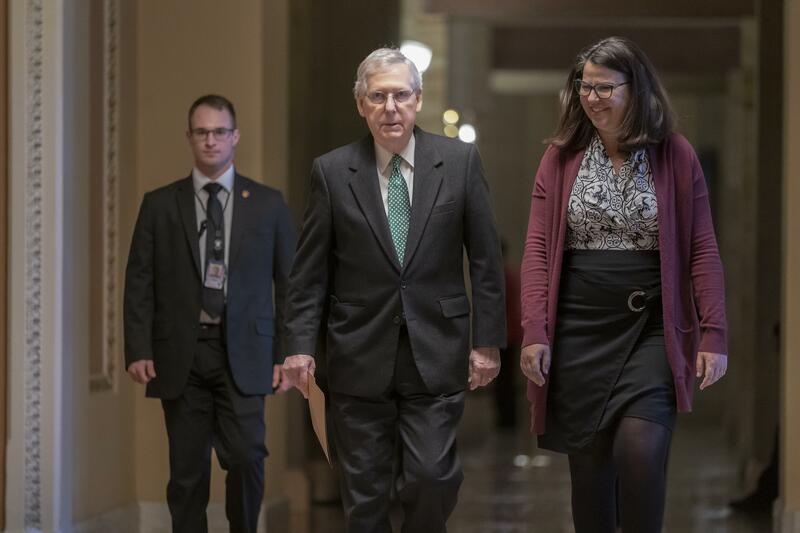 Lawmakers negotiating for a deal tentatively agreed Monday night to provide nearly $1.4 billion for border barriers and keep the government funded for the rest of the fiscal year, which ends on Sept. 30. In a prepared statement, Sen. Jim Risch, R-Idaho, echoed McMorris Rodgers’ sentiment that he would like to study the bill before taking a position, but supported building the wall. He also noted that he has co-sponsored a bill to prevent government shutdowns. Fulcher said he doubts it’s a good deal from what he’s heard so far, and said that it had been coined a compromise only in the sense that neither side got what they wanted. The agreement would allow 55 miles of new fencing – constructed using existing designs such as metal slats – but far less than the 215 miles the White House demanded in December. The fencing would be built in Texas’ Rio Grande Valley. Based on briefings, Fulcher said that the security at the southern border was both a security and a humanitarian crisis, and that the country needs a contiguous border solution. He also said that from his travels throughout his life – he’s traveled to 47 countries – this is an issue in many other places. “Other countries take the border security seriously, and we should, too,” he said. Full details were not expected to be released until Wednesday as lawmakers worked to translate their verbal agreement into legislation. Many Republican leaders urged Trump to sign on. “We have a lot of money in this country and we’re using some of that money – a small percentage of that money – to build the wall, which we desperately need,” he said. That could be more difficult than he made it sound, facing challenges in Congress, federal court or both. Previewing that strategy last week, acting White House Chief of Staff Mick Mulvaney said, “We’ll take as much money as you can give us, and then we will go off and find the money someplace else – legally – in order to secure that southern barrier.” He said more than $5.7 billion in available funds had been identified. The framework now under consideration contains plenty to anger lawmakers on both the right and left – more border fencing than many Democrats would like and too little for conservative Republicans – but its authors praised it as a genuine compromise that would keep the government open and allow everyone to move on. This report was compiled by The Spokesman-Review’s Megan Rowe and the Associated Press’ Jill Colvin, Andrew Taylor, Alan Fram and Jonathan Lemire. Published: Feb. 12, 2019, 8:30 a.m. Updated: Feb. 13, 2019, 9:43 a.m.